Conservative media personality Glenn Beck will make appearances with Republican presidential candidate Ted Cruz on Saturday in Iowa, ABC News reported late Tuesday. The news came shortly after Beck took to Facebook on Tuesday to attack Cruz's rival Donald Trump and Sarah Palin, the 2008 GOP vice presidential nominee who endorsed Trump the same day. "Small Government, lower taxes, fewer regulations and the constitution? Not any more," Beck wrote. "Big government, bailouts, executive orders, not just abortion but partial birth abortion, nationalizing of banks, stimulus, pathway to citizenship." He said all of these views were held by Trump during the Obama administration and asked what caused Trump to change his views so much. Beck also accused Trump of giving money to prominent Democrats like House Minority Leader Nancy Pelosi (Calif.), Senate Minority Leader Harry Reid (Nev.) and Chicago Mayor Rahm Emanuel after "Sarah and the tea party won a hard fought election and were under attack. "I couldn't disagree with her more but she has played the game now for years," he wrote. "Perhaps she knows more than those of us still on the outside." Beck, a longtime opponent of Trump, said last week that it will be a "gigantic mistake if this country chooses Donald Trump" as its next president. As president, Trump would be a "monster much, much worse" than President Obama, Beck added at the time. Cruz and Trump are battling for first place in polls in Iowa, which are less than two weeks away. 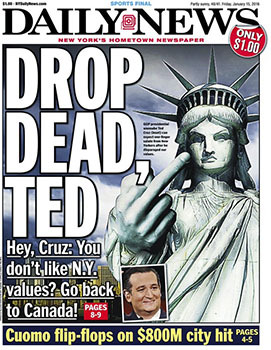 In an interview with Fox News host Bill O'Reilly last week, Beck said that ”Cruz is my guy." "Ted Cruz is a guy who says I'm for these principles, exactly like Ronald Reagan was, these are the principles and I'm going to be tethered and tied to these," Beck said. He added that if Sen. Marco Rubio (R-Fla.) wins the GOP presidential nomination, he'd vote for him, but he has "real deep problems with Rubio." Andrea Mitchell: Could you support Ted Cruz, if he ends up with the nomination? Bob Dole: I might oversleep that day. 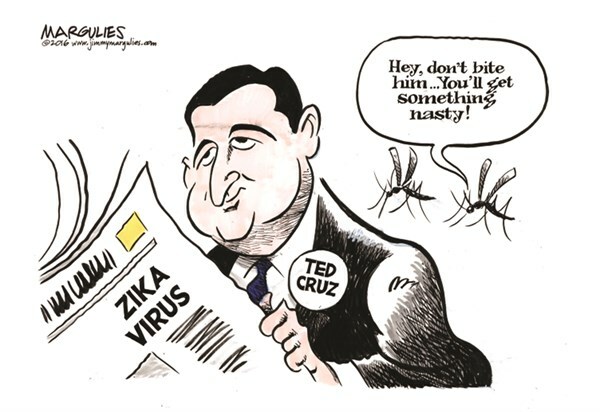 Once again, Ted Cruz is under attack for his campaign's tactics. On Sunday, his team posted a video showing a brief encounter between Marco Rubio and a Cruz staffer carrying a Bible. The subtitles to the video provided by the Cruz campaign made it appear as if Rubio looked at the Bible and said it contained, "not many answers." In fact—and the video isn't terribly ambiguous—Rubio said it contained "all the answers." 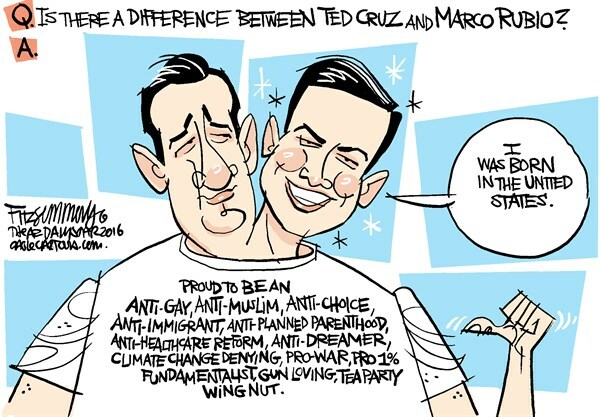 So, for those keeping score at home, that's Cruz's campaign lying about Rubio's Christianity to make the point that Cruz is a better Christian. Perhaps they missed that commandment about bearing false witness. If only it was second on the list of ten instead of ninth. Once the deception was revealed, Cruz apologized, explained that it is his staff who is dishonest and not him, and fired his communications director. It is remarkable how closely Cruz is hewing to the Nixon playbook; today's incident brings to mind November 17, 1973, when the 38th president declared that he was not a crook, but acknowledged that he had failed to supervise his staff closely enough, and that he would therefore be firing several of them. Not to give anything away in case anyone happens to be reading All the President's Men at the moment, but it turns out that, in fact, he was a crook. During the 2016 primaries, Ted Cruz and Donald Trump were basically sworn enemies and at each other's throats all the time. The enmity lasted until the bitter end. Cruz gave a major speech at the Republican National Convention and didn't even endorse Trump, let alone say a bunch of nice things about him, as would normally be expected. 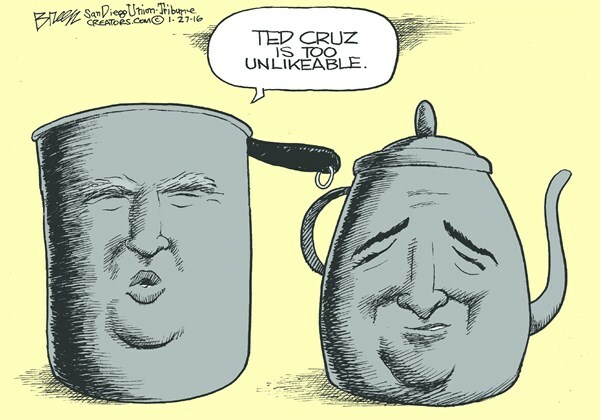 Trump, for his part, has constantly referred to Cruz as "Lyin' Ted." So, no great love either way. 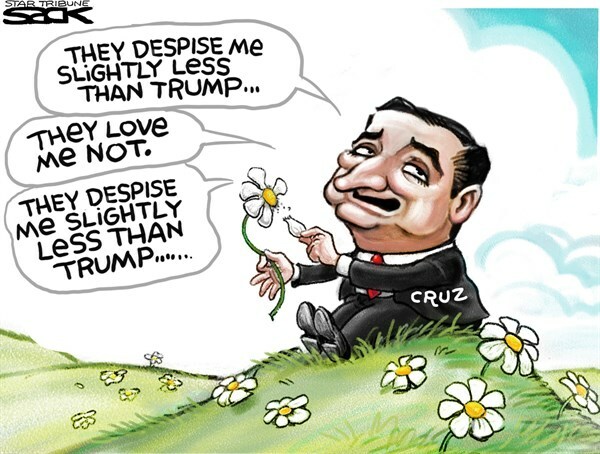 But now that the most recent poll shows Cruz only a single point ahead of his Democratic opponent, Rep. Beto O'Rourke (D-TX), Cruz has suddenly seen the light and has gone full Trumper. He now supports pretty much all of Trump's policies, even those he vilified repeatedly in the past. It is an amazing change and is undoubtedly completely phony. 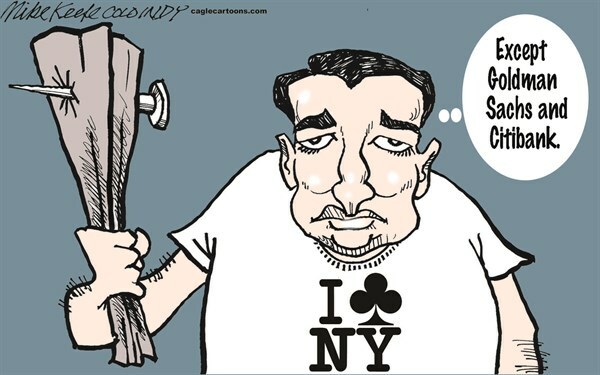 If Cruz wins, he will revert to being the anti-Trump tea party conservative he has always been. But his problem is there are a lot of pro-Trump Republicans in Texas, and his opponent is breathing down his neck, so Cruz has to pretend he likes Trump and his policies until the election. 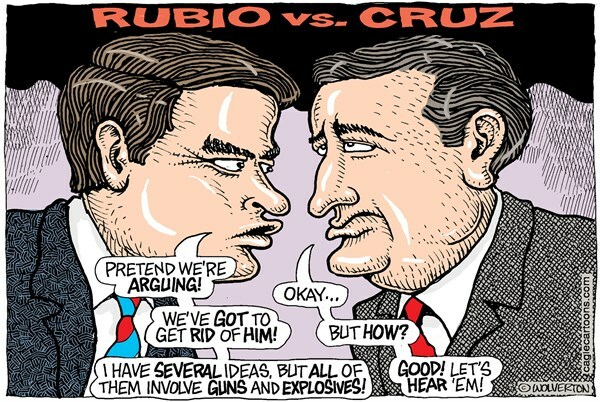 He has even invited Trump to campaign with him, which will be awkward at best given that the two men hate each other. 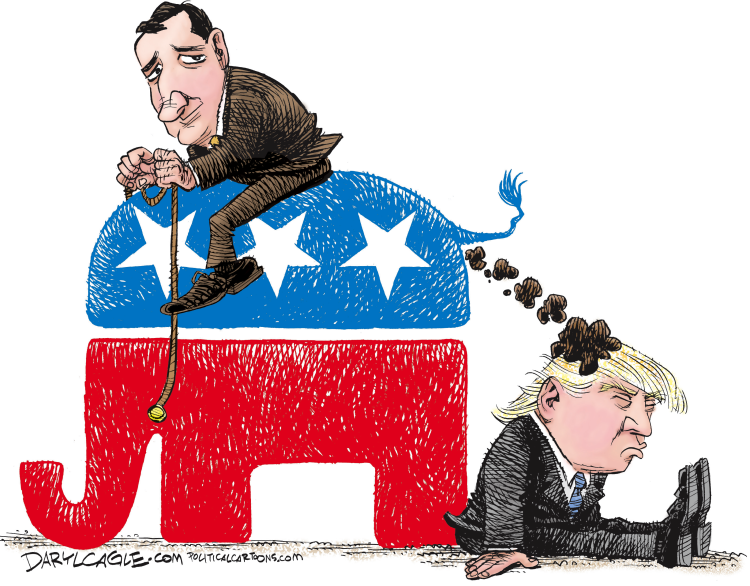 Trump doesn't really want to help Cruz, but he does want to keep the Senate Republican, so he will do it. 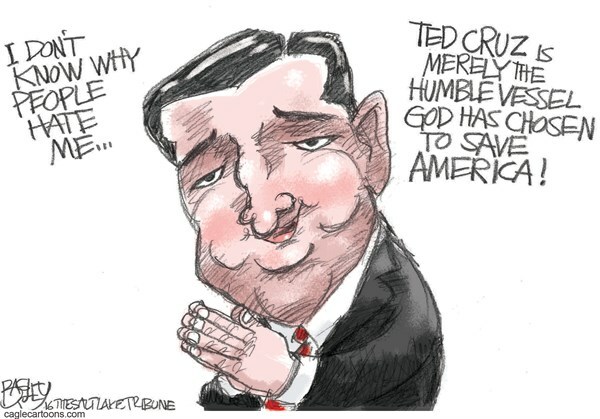 Most likely he will make the same compromise that Cruz made at the convention: He will come to Texas, mostly ignore Cruz, and talk about himself. That is not going to win over any fence sitters, but the purpose of the visit would be to rile up the GOP base and get them to the polls. 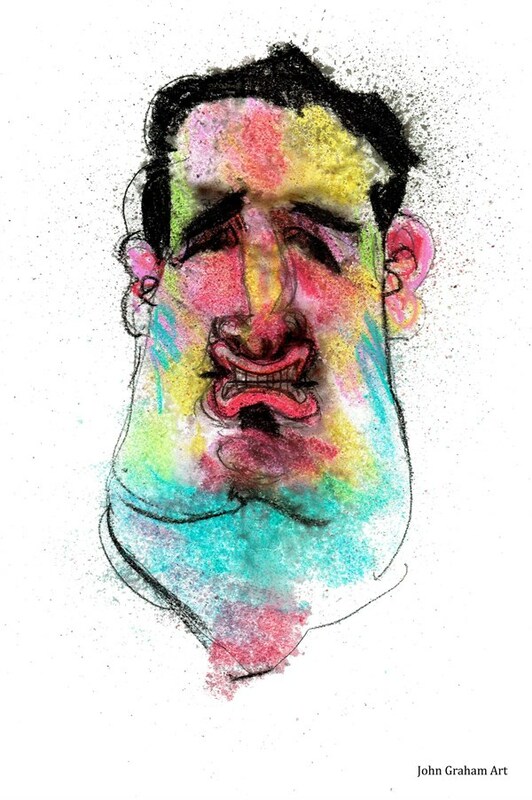 Ted Cruz has got to be the most sleaziest human being to occupy this planet.